We all know her: that trim, toned woman who seems to live on grilled chicken, hard-boiled eggs, and nonfat yogurt. Convinced that her high-protein plan is your ticket to a better body, you've been trying to work more of the macronutrient into your diet. But is it really the secret to slimming down? And how much protein do you actually need, anyway? Read on for the surprising facts, then use your newfound knowledge to get all the muscle-building, fat-fighting benefits. You're already getting enough protein. 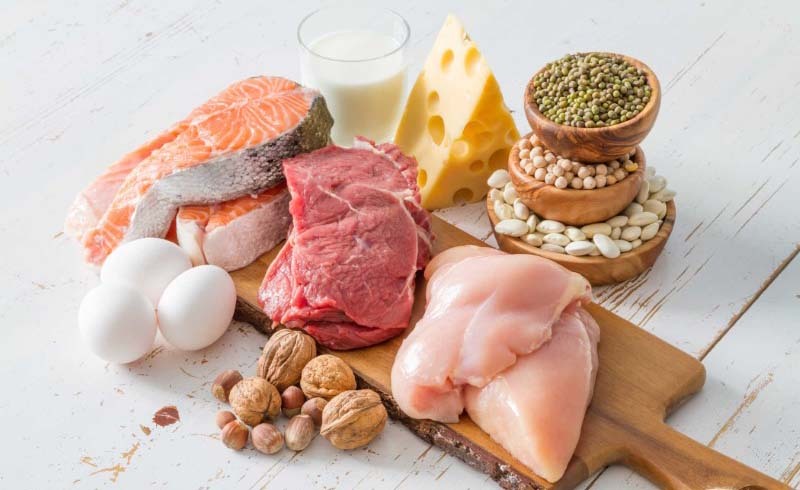 "There's way too much hype about protein — or rather, a perceived lack of it in people's diets," says Marion Nestle, PhD, a professor of nutrition, food studies, and public health at New York University. "The reality is, if you consume enough calories, you're probably eating plenty of protein." Most nutritionists agree that active women need about half a gram per pound a day, or approximately 65 grams for a 130-pound woman. And according to the USDA, most of us — even vegetarians — are eating 69 grams of protein daily, so we're in the clear. (If you exercise for more than an hour five or more days a week, bump up your intake to 0.75 grams per pound.) Just don't skimp at breakfast and then load up at lunch and dinner, because eating protein in the a.m. can help curb your calorie intake for the rest of the day. Every time you eat, your body uses up energy (aka calories) to break down your food and absorb its nutrients, which boosts your metabolism. When you tuck into fat or carbs, about 5 to 15 percent of those calories go toward the digestion process. With protein, it's more like 20 to 30 percent. That's because protein is made up of amino acids held together by peptide bonds, which are strong little suckers. In order for your body to use the amino acids to repair tissue, transport oxygen throughout your bloodstream, and form immunity-boosting antibodies, the peptide bonds have to be broken; this means your stomach has to work harder, which takes extra energy. ...but it can still make you fat. That metabolism spike doesn't mean protein is a freebie. If you overeat, you'll gain weight no matter where your calories come from. According to a recent study in the Journal of the American Medical Association, volunteers who consumed an extra 1,000 calories a day gained weight, whether 5, 15, or 25 percent of those calories came from protein. While dieters have slimmed down with low-carb plans like Atkins, South Beach, and Paleo, their success is likely because they've cut calories and nixed refined carbs, not because they've upped their intake of protein. Meat doesn't beat plant-based protein. Of the 20 amino acids that make up protein, 11 are produced by the body and nine come from food. 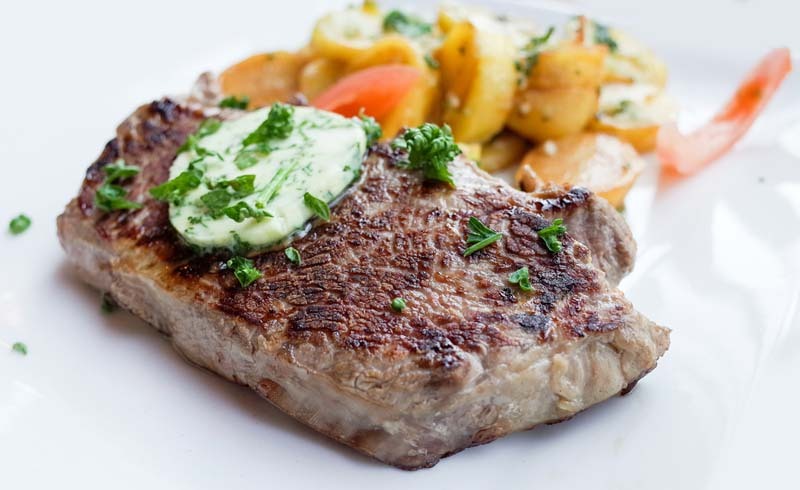 Meat, poultry, fish, eggs, and dairy contain all nine, which is why you may have heard them called complete proteins. But plant-based foods, like nuts, seeds and grains, are lacking or extremely low in one or more of those amino acids, says Margaret McDowell, PhD, RD, a nutritionist at the National Institutes of Health. As long as you eat a variety of these foods, though — think brown rice and beans or whole-grain cereal and soy milk — you'll get the nine you need. Bars, powders, and shakes made with casein or whey, two milk proteins, are complete on-the-go options. You'll get more out of your workouts if you pound protein afterward. You don't have to be a marathoner to benefit from a protein chaser. "Your muscles are like sponges for 30 to 45 minutes right after exercise, whether you've done cardio or strength training," says John Ivy, PhD, a professor of kinesiology at the University of Texas. If you give them some protein in that magic window, they're primed to put it to use rebuilding and repairing the microtears in muscle tissue that occur every time you work up a sweat. This makes you less sore the next day and increases your lean muscle mass, which helps your body burn calories more efficiently 24-7. Pick a post-workout snack with 12 to 14 grams of protein and about 40 percent of the calories you've burned (45 minutes on the elliptical torches about 300 calories, earning you a 120-calorie pick-me-up, for example). Best bets: a cup of nonfat Greek yogurt with berries, a handful of crackers and string cheese, or half a bagel with peanut butter. Besides protein, each of these combos contains carbs, which speed up muscle mending and replenish your reserves of glycogen, a form of energy that fuels you during intense bouts of activity. There is such a thing as too much protein. It would take some serious effort, but OD'ing on protein — say, eating hundreds of grams a day — can lead to trouble, according to research. Here's why: As your body digests protein, it produces nitrogen as a by-product, which your kidneys have to work to process and eliminate as urine. Therefore, huge amounts of protein put a big-time strain on your kidneys. And they're not the only organs affected by too much of a good thing; certain sources of protein can hurt your heart too. A recent Harvard School of Public Health study found that having one small serving of red meat a day increases your chances of dying from cardiovascular disease and other causes by 13 percent, while consuming processed meat, like bacon and hot dogs, ups your chances by 20 percent.